This will be my last post, till I re-enter the cyber world in July. While I am flying around in a tizzy tying up various loose ends, I just had to pen this post. Riz Khan, the author of this book needs no introduction. A message from him to his LinkedIn connections, made me wish that I had purchased a Kindle. Well, perhaps it is never too late to get one. 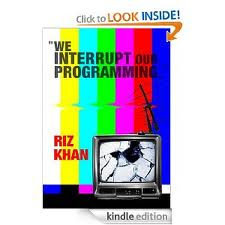 The book, 'We interrupt our programming' is the first fiction novel penned by Riz Khan and is available as a Kindle edition. As the author says: "We Interrupt Our Programming… was a fun experience that provided an opportunity to spoof the world of international news, after such a 'serious' career at the world’s three leading news networks – BBC World, CNN International, and Al Jazeera English. I hope you enjoy it and - above all - it makes you laugh." On reading an extract available on Amazon, I know for sure that it will be a fun read. Since I have spent a few years in the newsroom (albeit in the print world), I know it is a crazy world out there, filled with unique personalities. The TV world is no different. As Riz Khan adds: "This book takes you behind the scene to meet some fascinating and familiar-sounding characters that inhabit the often dysfunctional, but always highly influential, world of international media." What really caught my interest is that part of the proceeds of this book will be donated to an organisation -- The World Is Just A Book Away, which helps build libraries for school children in underprivileged countries around the world. 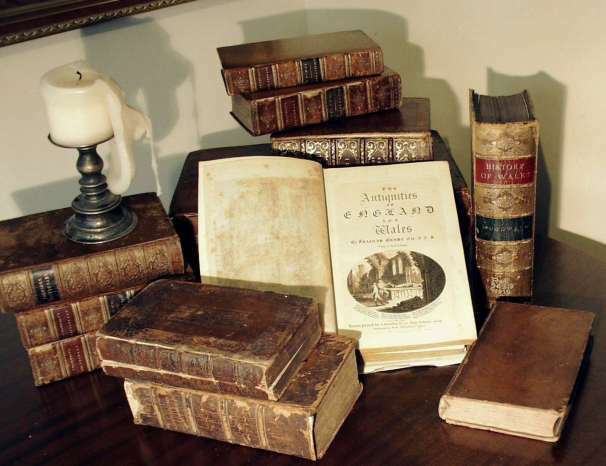 Those of you who know me, know that I firmly believe that story books play a very big role in a child's life. They spur imagination and without imagination there can be no learning and no innovation. So do support this cause and download a copy of 'We Interrupt our Programming'. 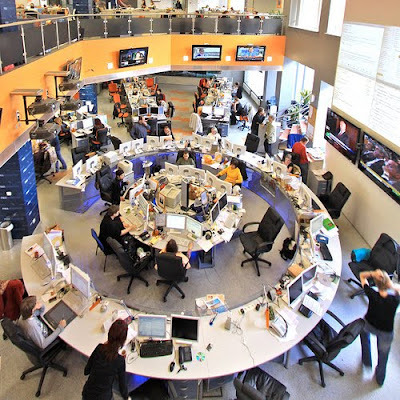 Source of the Photograph of the Newsroom: Downloaded from Flickr and used as per the terms of the Creative Commons License. 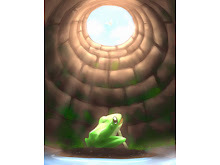 Hello, friend. I hope all is well with you and yours. I have missed you.